Four college students, two couples, decide to vacation at a farmhouse in the woods. One couple (Scott Spiegel and Mary Valenti) stay in the house playing Monopoly whilst the other couple (Bruce Campbell and Ellen Sandweiss) go picnicking in the woods. After walking for a while they stop in a clearing and set out the picnic. Bruce clears a small area to make a fire, and while digging he finds an ancient Indian grave with a cross, a broken bowl and a hunting knife buried in the ground. Bruce shows Ellen what he's found but assures her that he hasn't disturbed anything untoward. They eat and eventually fall asleep under the glare of the hot sun. Ellen awakes alone. She packs up the picnic and goes searching for Bruce. Upon stumbling on his mutilated corpse, she panics. A 'force' awoken in the forest frantically chases Ellen back to the farmhouse. She escapes at the last second, and tells Scott & Shelly what has happened. As dusk sets in, Scott goes out to search for Bruce. Within The Woods is Sam's halfway point between his Super-8 shticks and being a professional film-maker. That's not to denigrate the highly accomplished Super-8 shorts in any way, simply that you can see Sam's directorial style maturing from It's Murder, to Clockwork, then Within The Woods and to The Evil Dead. Although he does use suspense in places, Sam keeps an almost relentlessly quick pace in Within The Woods. By the time of directing The Evil Dead, he's learned the value of letting the suspense build, with long lingering sequences. One good example is the sing chair outside the cabin, which Sam plays far more on the suspense in The Evil Dead, than in Within The Woods, where it is a single almost a throw-away shot. Bruce Campbell however, I think had already honed his acting talent by this point and was equally adept in both the rolls of Bruce and Ash. 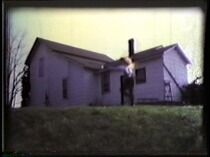 Given that the majority of the Super-8 shorts were comedies, he translates his abilities excellently to the horror genre. Most likely down to its short running time, Within The Woods does seems far more fluid and aggressive in tone. In places it surpasses The Evil Dead in terms of keeping the action flowing and keeping the storyline tight without and extraneous plot. Both are equalled in terms of gore, although the body count is higher in The Evil Dead. While still excellent, it's to be expected that Tom Sullivan's special effects work are more accomplished on The Evil Dead given the higher budget, longer shooting schedule, and his accumulated experience. You can view a PDF version of the script below. Being a prototype, Within The Woods has a number of similar & virtually identical shots, sequences & actions to 'The Evil Dead'. What follows is a list of the similarities between them. At the front of the cabin there is a swing on the porch that keeps on banging against the cabin. 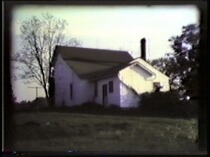 Towards the end of the film the bench is destroyed by Bruce while trying to get in to the cabin. The same thing happens here, although the way the tense atmosphere is established though a number of shots and the shooting style is far more accomplished. The bench is still there at the end of the film. When Ellen is in the forest, she hears noises, and she's then chased through the forest and back to the cabin by the 'force'. Here, Cheryl also hears noises in the forest, but then is attacked by the trees. Once she escapes she is chased though the forest and back to the cabin by the 'force'. 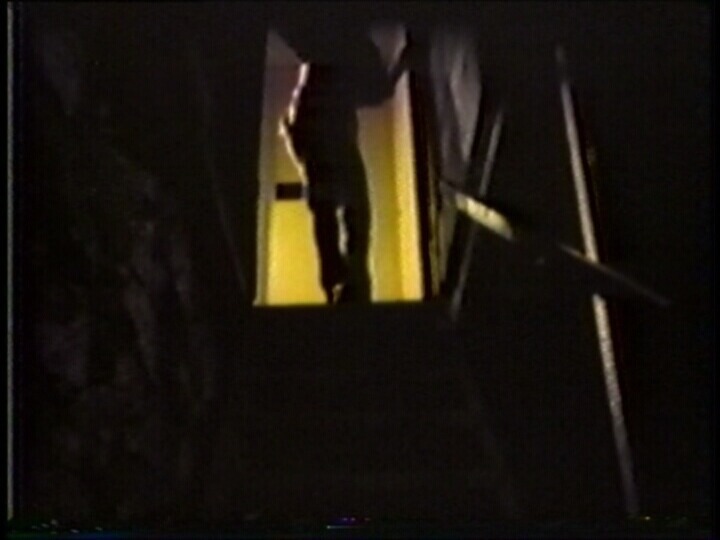 Having been chased back to the cabin, Cheryl gets out her keys and tries to frantically to open the cabin door. She then drops them and Scott grabs her hand and lets her in at the last second. 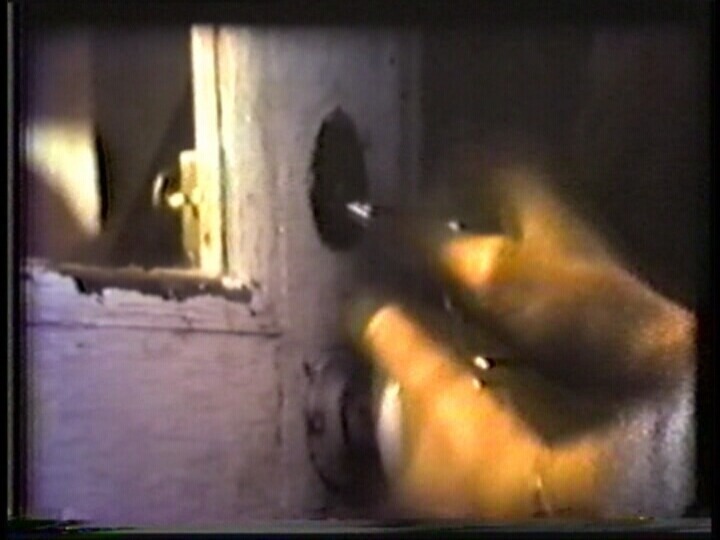 The action is produced here virtually shot for shot, although the keys get stuck on top of the door ledge. When possessed Bruce is trying to get in to the cabin, Ellen slams the door to stop him getting in, but his hand gets trapped. She then stabs it with a knife, making Bruce pull it back in pain allowing her to lock the door. Ash is trying to shut the door before the possessed Cheryl gets in. When he is about to close the door, Cheryl gets her hand trapped. Then Ash hits it with the shotgun and she pulls it back allowing him to shut the door. Ellen fights with Bruce, they both have kitchen knives, and Ellen cuts part-way through Bruce's wrist. Bruce then bites though the rest of his hand and drops it. Ellen grabs the knife with the hand still attached and stabs him. He falls to the ground seemingly dead, although springs back to life and starts attacking her again. Scott fights with Shelly. Shelly is holding the dagger, and Scott use his hunting knife to cut part-way though Shelly's wrist. Shelly then bites though the rest of her hand and drops it. Scott then grabs the dagger with the hand still attached and stabs her. She falls to the ground screeching, seemingly dead, although springs back to life and starts attacking again. Ellen chops up Bruce with an axe in order to kill him. Once dismembered he's completely dead. As you can see from the table above there are similarities between the two but what else was to be expected when Within The Woods was used as, not only an investment tool, but a starting ground for Sam's horror making process. What Sam kept was basically what worked. You can see his youth and inexperience in certain shots but to be fair the film is played for maximum gore, and very little emphasis on the stalking terror and suspense that the monster conveys. 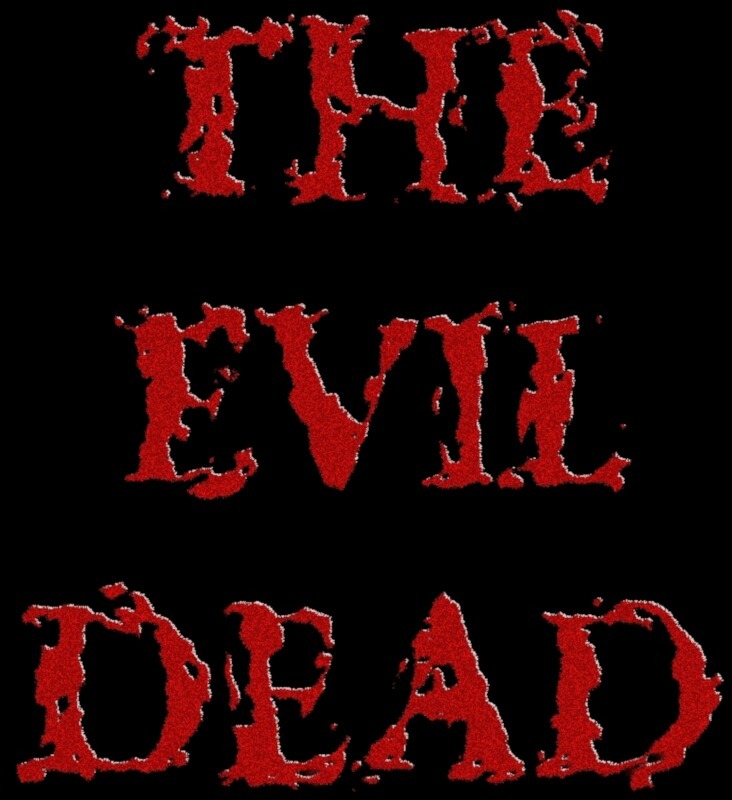 Certain similarities are purely cosmetic and seem coincidental as they serve almost no part in advancing the proceedings in The Evil Dead. 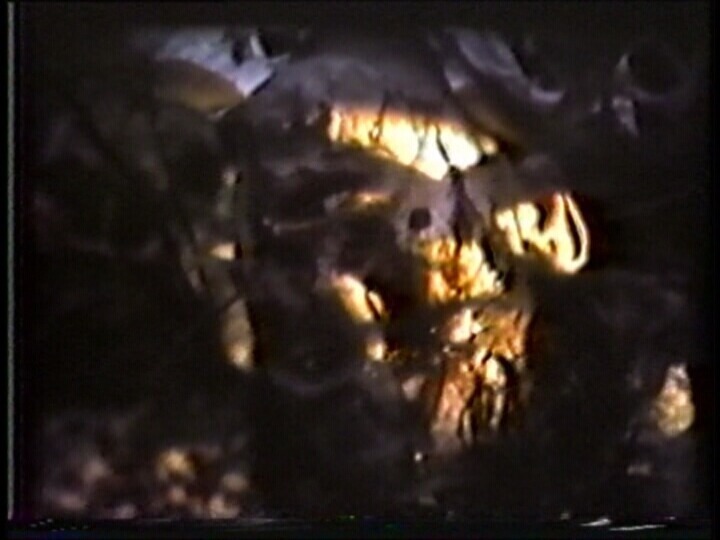 Although Within The Woods was shown theatrically for a time, it was only intended as a means to hook investors for The Evil Dead, and was never given a wider retail release on any format. 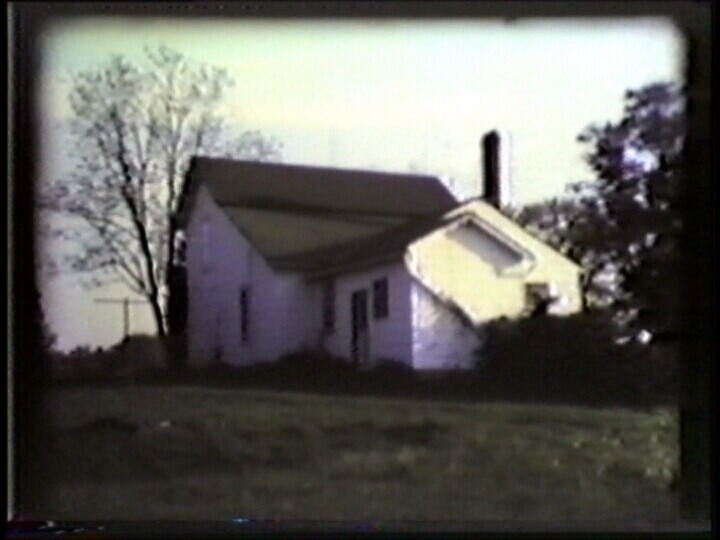 It only exists outside the hands of its creators and a select few recipients, as a generated VHS bootleg, although it has been shown as a couple of conventions over the years.